Playwright Christopher Marlowe is one of the big names of Elizabethan drama, even though his writing career lasted only a little more than five years. He was born in 1564, the same year as Shakespeare, in Canterbury, but started writing at a much younger age and prepared the way for his great contemporary. It is believed Marlowe wrote seven plays, but his life was cut short when he was murdered in 1593 at the age of 29, in a tavern in Deptford. He had got into a fight and drawn a knife, upon which his opponent drew his and fatally stabbed Marlowe in the eye. Some researchers have posed the idea that he was deliberately provoked as part of an assassination plot to eliminate him so that he could not testify against some important men, including Walter Raleigh, in a coming trial. 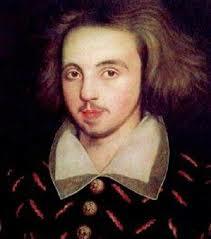 Christopher Marlowe was the son of a shoemaker and is one of the most famous old boys of King’s School, Canterbury. He started at university, at Corpus Christie College, Cambridge, at the age of 16 and completed bachelor’s and master’s degrees. It seems that during that time, and afterwards, including his time as a theatre writer, he was a spy, and it was that that led directly to his death. When he appeared on the London literary scene Renaissance drama was beginning to take off and he made friends among the big names of the time; men like Sir Walter Raleigh and Sir Philip Sydney, and he shared lodgings with the celebrated playwright, Thomas Kyd, who led the field in drama and was the author of The Revenger’s Tragedy, which was a strong influence on Shakespeare’s revenge tragedy, Hamlet. Marlow became a well known figure around London, due partly to his flamboyant dress and the jewellery that dripped off him. Having had a classical education and having travelled, Marlowe was well equipped to write the ‘educated’ drama that preceded Shakespeare’s plays: his texts were full of classical references and images taken from the new science of astronomy as opposed to Shakespeare’s imagery derived from country life. His first play was Tamburlaine – a long, somewhat unwieldy play, but of great significance in that it was the first noteworthy play written in blank verse, a form that released drama from its constricted poetic conventions, and later used routinely by Shakespeare. His other, more famous, and better, plays, Dr Faustus, The Jew of Malta and Edward II, followed swiftly on Tamburlaine’s heels. He became famous and celebrated, even more so that Kyd, but at the same time, he was restless and dissatisfied, and drank heavily, with writing companions, Thomas Nashe and Robert Greene. At the time of his death he was being investigated for heresy because of his criticism of the inconsistency in the Gospels and his old friend, Thomas Kyd was tortured to denounce him. Very few English writers with careers of fewer than six years have made such an impression: Christopher Marlowe’s place as one of the great English writers is secure.